As the Year Winds Down . . . This will be the 767th post for the year. Pretty good, I think. Not quite up to last year's 855, but that was the first year of the blog, and this year I had a broken hip that reduced output in June. There are over 400 subscribers to the RSS feed (not the big leagues, I know, but thanks to all of you who are reading me). My heaviest site traffic was in mid-September, and apparently the Photoshop of Mubarak leading Obama and the subsequent postings of other parodies were the biggest draw. The funny stuff gets linked to by others more than the serious stuff. Anyway, I haven't found a good weekend video worthy of keeping you from New Year's festivities, so that will resume nexr week. My New Year greetings are set to post at midnight. As Husni Mubarak leads the way for Obama and the rest of us into 2011, let's glance back at the key points of 2010, the year in which Al-Ahram taught us with the above photo what an "expressive" photo was: what we'd previously thought of as "faked." They had an "expressive" election, too. The historian in me resists doing the "biggest story of 2010" sort of wrap-up, since I think you need longer perspective to know what really mattered, They say that when China's Zhou Enlai was asked his opinion of the French Revolution, he said "It's too soon to tell." A useful perspective. Brian Whitaker chose Tunisia. The Jerusalem Post suggests Stuxnet. Either might turn out to be true, or as evanescent as all the stories you've forgotten about from last winter. Both are pretty recent. 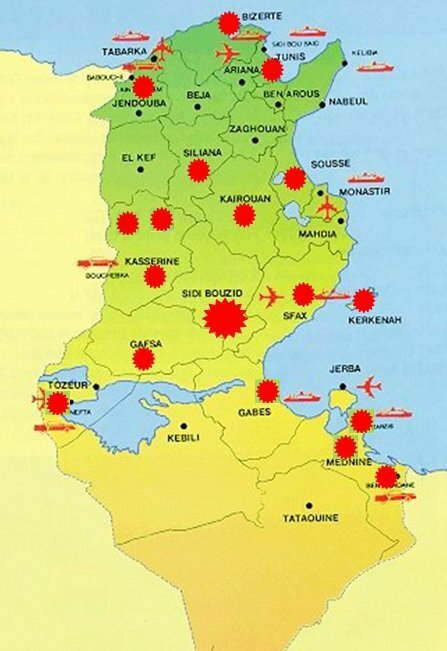 The simmering tensions in Lebanon over the STL could blow both off our radar screens in 2011,or might themselves prove overblown. I do have a candidate for silliest story of the year: the Miss USA is a Hizbullah mole story that riled the far right briefly, until they focused on the "Ground Zero Mosque" that isn't a mosaue and isn't at Ground Zero. Looking ahead, certainly one of the big stories of 2011 will be which Mubarak Egyptians will be asked to vote for in the fall. The illnesses of senior Saudis may be moving us towards a major transition there, too. But the one looming story that I've shied away from could be the real bombshell lurking in the wings: the January 9 referendum on independenced in southern Sudan. The secession of southern Sudan — which seems inevitable unless they have Egyptian or Tunisian election observers — is going to shake the region and the Arab world. 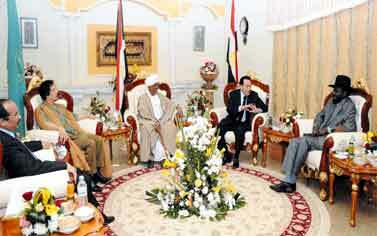 There's an African precedent (Eritrea from Ethiopia) but not an Arab one, and Egypt is concerned about the Nile. This is the powder keg no one wants to notice even as the fuse burns. Let's hope everyone's really going to respect the results. You believe that, don't you? Yeah, me neither. Happy New Year. Brian Whitaker on Tunisia: "Most Important Story" of the Year? The biggest story from the Middle East this week … No, the biggest, most important and most inspiring story from the Middle East this year is one that most readers may only vaguely have heard of, if at all. It's the Tunisian uprising . . . So, what we have in Tunisia today is the birth of a genuine, national, indigenous, popular movement, not against colonialists or foreign occupiers but against their own repressive regime, and one which is not tainted (as in Iran) by international power games. This is something new, which is why it's so important. For years, writers have complained about the "Arab malaise" – the way Arabs have become accustomed to playing the role of victims, their passivity in the face of home-grown tyrants, and so on. The need, as I explained in my recent book, is for Arabs to stop being prisoners of their history and start shaping their own destiny. At long last, that is what the people of Tunisia are trying to do. 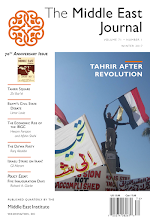 Is the Tunisian uprising really that transformative? I'll admit to still having doubts. Perhaps I've seen far too many Egyptian protest movements that fizzled with the appearance of the State Security heavies, and also remember Tehran in the summer of 2009. I remember the Cedar Revolution in Lebanon in 2005, and now Sa‘d Hariri is making nice with Hizbullah to keep the lid on. Ever since walls fell in Eastern Europe 20 years ago, some Arab reformers have hoped for a similar wave in the Middle East. They're still waiting. Am I too cynical? Is Whitaker too optimistic? I don't know. But even if — and it's a very big if — this wave of demonstrations led to regime change in Tunis (which I doubt it will), could it spread elsewhere? Tunisia is very different from most of its neighbors. Its secular traditions, dating from the Bourguiba era, are not readily transferable elsewhere. Other than the PLO, which got to know Tunis very well as a headquarters, and Arab diplomats during the Arab League's residence there during Egypt's years outside the league, many Arabs don't know the country well. The Gulf Arabs tend to prefer Morocco for their villas: perhaps the comfort of a monarchy. I'm not sure what happens in Tunis can resonate elsewhere, though some Egyptians are taking an interest. Don't get me wrong; I hope he's right; I'm just not convinced this will really bring change. But I'd be glad to be proven wrong. You won't find much about it in the western media (or the Arab media, for that matter) though you can piece together much of the story from snippets on Twitter and videos on YouTube. There have been complaints from bloggers about this silence but in a way it's refreshing not to have the likes of Fox News, Bernard Lewis and Glenn Beck telling us what should be done. In any case, the Tunisians – so far at least – seem to be getting on quite well with their uprising by themselves. Foreign governments have been similarly quiet and, again, this is something of a blessing: too many activist movements in the region have been killed off by the wrong kind of support from the west. It's true that the mainstream media have been relatively quiet, though I've seen items in the Washington Post and LA Times. The Tunisian media are of course controlled, and the international media, France excepted, don't follow North Africa closely. It's also the week between Christmas and New Year, and lots of people have it off. And there are exceptions. Whitaker himself has been covering it closely. This is also my sixth post on the subject in four days. The numerous stories of familial corruption are certainly galling to many Tunisians, but beyond the rumors of money-grabbing is a frustration that the well-connected can live outside the law. One Tunisian lamented that Tunisia was no longer a police state, it had become a state run by the mafia. "Even the police report to the Family!" he exclaimed. With those at the top believed to be the worst offenders, and likely to remain in power, there are no checks in the system. The daughter of a former governor recounted that Belhassen Trabelsi flew into her father's office in a rage -- even throwing an elderly office clerk to the ground -- after being asked to abide by laws requiring insurance coverage for his amusement park. Her father wrote a letter to President Ben Ali defending his decision and denouncing Trabelsi's tactics. The letter was never answered, and he was removed from his post shortly thereafter. By many measures, Tunisia should be a close US ally. But it is not. While we share some key values and the country has a strong record on development, Tunisia has big problems. 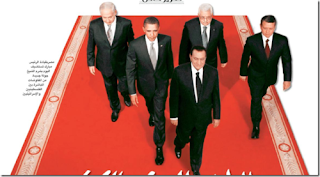 President Ben Ali is aging, his regime is sclerotic and there is no clear successor. Many Tunisians are frustrated by the lack of political freedom and angered by First Family corruption, high unemployment and regional inequities. Extremism poses a continuing threat. Compounding the problems, the GOT brooks no advice or criticism, whether domestic or international. Instead, it seeks to impose ever greater control, often using the police. The result: Tunisia is troubled and our relations are too. It's a revealing report on a man still largely unknown to non-Tunisians. I hadn't mentioned, until reminded by The Moor Next Door's post, that during Tunisian President Ben Ali's address to the nation the day before yesterday, his — or someone's — cell phone (or perhaps landline) starts ringing about 3:38 into the televised speech. Many jokes are already being made about this, and you can watch it here (speech is in Arabic, ringtone is generic), though I can't embed it. I hope this wasn't the reason the Communications Minister was fired yesterday. Set your phone to vibrate before addressing the nation on TV. Set your phone to vibrate . . .
Tunisian President Ben Ali continues to blame the messenger: in a Cabinet reshuffle he has kept his Interior Minister in place but dismissed Communications Minister Oussama Romdhani, having already blamed the foreign media for stirring up unrest. I've got to admit to a conflict of interest here: I've known Dr. Romdhani since his days as a young Tunisian Press Agency (TAP) correspondent in Washington; he did graduate work at my alma mater, Georgetown, and was a fixture in DC for most of the 1980s, first as a journalist and then as the press officer of the Tunisian Embassy. He eventually rose to be head of the Tunisian External Communications Agency, and cultivated many French and American journalists, winning Tunisia a lot of good press. He's a good and talented man who deserved to represent a better government. About a year or so ago he became Commumications Minister. Now he's lost that job, apparently for being unable to persuade the foreign press to put a positive spin on the present troubles. Interior Minister Rafik Belhaj Kacem, whose resignation has been demanded by the demonstrators, kept his job. Arabian Business magazine does an annual "50 Richest Arabs" list which is a sort of Fortune 500 of the Arab billionaires. (This year they're calling it "the Rich List" and apparently list only 49, the poorest of whom has $1.7 billion.) They include families as units, but don't include the ruling families as such, which of course would make a big difference. The 2010 list is here. Al Waleed bin Talal Al Sa‘ud, the media and property mogul who's also a Saudi Royal, ranks first for the seventh year running with an estimated $20.4 billion. The vast majority are from the Gulf and the Arabian Peninsula; some of the Lebanese and Egyptians on the list also made their fortunes, or parts of them, in the Gulf. 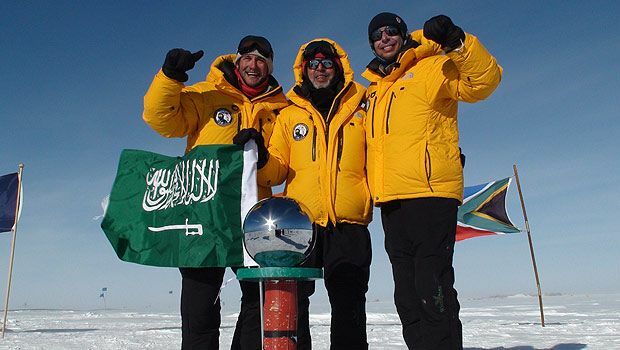 Most of the top 50 are Saudis, Kuwaitis, Emiratis, or Qataris. You'd probably be able to guess two of the three Lebanese: Sa‘d Hariri (No. 27) and ‘Issam Fares (No. 45). Jeweler Robert Mouawad, a diamond merchant, is also on the list at No. 43. The top ranking Egyptian is the Sawiris Family, at No. 28 ($3.55 billion), centered on telecom and press mogul Naguib Sawiris. The last two mentions are interesting, though Arabian Business doesn't mention it: they're Christians, as is Palestinian contractor Said Khoury (No. 8 with $7 billion), so three of the richest 50 Arabs are Christian. Robert Mouawad is a Maronite I believe; Naguib Sawiris and his family are Copts, and Said Khoury is Greek Orthodox. Oh, and one of the richest Arabs seems to actually be a Kurd, but who's counting? Seriously, according to Arab News. Picture from them. I'm not sure that this is earth-shattering news, but it did raise a question in my mind. Back when the Saudi astronaut went up on the shuttle some years back, there had to be a ruling by religious leaders about what the times of prayer might be when you're circling the earth every 90 minutes or so. The article doesn't say, but wouldn't something similar arise at 90 degrees south, where you're standing in all the time zones at once? I think in the space case they decided to use Mecca time, but may be misremembering that. Muhammad Dahlan's fall from grace is continuing. He's now been banned from Fatah meetings and from his major functions. Another story here. The question of future Palestinian leadership at a time when the peace process seems moribund is an important one. Dahlan may have overplayed his hand, though the details are still quite murky. For now, he seems a spent force. But I still think it may be worth watching him. Tunisian President Zine El Abidine Ben Ali has addressed the country about the recent waves of demonstrations. I have been following with anxiety and concern the events that took place over the recent days in Sidi Bouzid. While these events were triggered by one social case, of which we understand the circumstances and psychological factors and whose consequences are regrettable, the exaggerated turn that these events have taken, as a result of their political manipulation by some sides who do not wish good to the homeland and resort to some foreign television channels which broadcast false and unchecked allegations and rely on dramatisation, fabrication and defamation hostile to Tunisia, requires from us to clarify some issues and confirm the truths that must be taken into consideration . . Though he isn't specific, elsewhere Al Jazeera is being singled out. (Link in Arabic) After blaming the messengers, he goes on to outline economic and development accomplishments of the regime and pledge to help the unemployed. You can find the entire text in English here. Egypt's ruling National Democratic Party finally and belatedly held its Annual Conference, postponed until after the Parliamentary elections, last week. Pressed by reporters, Gamal Mubarak made nothing very clear at all about next year's Presidential elections: they'll be in September and the NDP will choose its nominee by July. We pretty much knew that. So it looks like the question of which Mubarak will run is as unclear as ever. A BBC report on the usual quarrels over who gets to repair the roof of the Church of the Nativity; it seems the Palestinian Authority is stepping in to get things done. The video doesn't embed so you need to follow the link. Tunisia has a reputation for stability, but also a reputation for firm police repression of dissent. The stability has often been a side-effect of comparative economic prosperity for a non-oil-producing country, but the global economic downturn has taken its toll, and for the first time in years we've been seeing protests recently in the country. Most have been in the Sidi Bouzid region in central Tunisia, where at least one protester has been killed, but demonstrations have also occurred in the capital. It may be the most extensive popular protests since the late Bourguiba years in the 1980s. An apparent suicide and an attempted one were among the sparks that set it off. Tunisian media is tame, and foreign media seem to be having troubles reporting beyond Tunis, but there is, of course, new media. Among them: the Nawaa website, posting news, videos, and the map of purported outbreaks I reproduce here; its posts are mostly Arabic, some French, with a French roundup of news here. There's a collection called tunisians on Vimeo with posted videos; another set of videos on YouTube; and of course, a #sidibouzid hashtag on Twitter. The usual problems that can be expected when rumors are the main source of information can be found on such sites, claims that some police have sided with the demonstrators, even speculation the government might fall, should be met with caution. Anyone who followed social media during the Tehran troubles of 2009 will know how hard it can be to deal with a determined security apparatus. The week between Christmas and New Year's is slow, and I was wondering if there'd be much to post about. I guess there will be. UPDATE: The Moor Next Door on the subject. UPDATE II: And via The Moor, I've discovered the blog A Tunisian Girl, which is covering the protests with posts in English, French, Arabic and German. I'm spending the week with the family, so posting will be sporadic. I lost Internet for a while today, probably due to the high winds we've been getting, but am back now. Posts may also be at odd hours, but do stop by as I will be around this week. For Western Christmas, having already done Fairuz singing familiar Western carols in English, I thought it might be worth sampling a bit of indigenous Christmas music from the lands where the faith began. This replaces the usual Weekend Historical Videos for this week. Most Roman Catholics and Protestants tend to be pretty ignorant of the Eastern Churches (even, among Catholics, of the Eastern Catholic churches in union with Rome). They may have a vague familiarity with the Orthodox tradition, but know little of the Maronite, Syriac Orthodox, Antiochian Orthdodox, Melkite, Coptic, Armenian, Chaldean or Assyrian traditions. I think I told the story here once before of an Arab Christian who grew tired of being asked by Western hostesses, on learning he was a Christian, "Which missionary group converted your people?" He always answered, "Jesus Christ and the 12 Apostles." After all, it started there: the New Testament itself says Jesus was born in Bethlehem, raised in Nazareth, and was crucified in Jerusalem; that his followers were first called "Christians" in Antioch, and so on. Yet to Western Christians, the Eastern branches of the faith are a mystery. Yet most historians agree that the oldest Christian liturgy still in use today is in the Church of the East (the Assyrian Church). Oh, the television networks will broadcast a snippet of the Latin Patriarch's Christmas Eve service in Bethlehem, though the majority of Arab Christians will celebrate on the Eastern date in January. So here are a variety of the varied Middle Eastern traditions, some recorded in the region and some in the diaspora. One or two are reruns from last year, but most are new. Syriac Orthodox: An entrance prcession for Christmas 2007/8 at a Syriac Orthodox Chruch in Aleppo: amid traditional sounding Eastern music there's also a singing of Silent Night in Syriac as the celebrants enter. And with that, being a fat guy with a white beard, I have a busy evening ahead. Merry Christmas to all, and to all a good night! Christmas Eve greetings; let's talk about Bethlehem and its problems today. Bethlehem (Beth Lechem in Hebrew, "house of bread," and the cognate Bayt Lahm in Arabic, "house of meat," from a presumed Semitic root that meant something like "staple food": bread for an agricultural population, meat for a pastoral one) is a pretty town set in the Judean hills a dozen miles or so south of Jerusalem. It has some spectacular views out across the hills and desert towards the Dead Sea, and the "Little Town of Bethlehem" is a crowded city these days, where Muslims and Christians share the town; Muslims are in majority, but the Mayor is, under Palestinian Authority rules, always a Christian. According to the Old Testament, Bethlehem was the home town of King David, and thus Messianic prophecies became associated with it. Tradition says that Jacob's wife Rachel is buried there, though there are conflicting traditions. But Bethlehem's real claim to fame is of course known to every Christmas caroler: the only two Gospels that describe Jesus' birth agree it was in Bethlehem, despite their many differences in details. There are reports ahead of tonight's Big Night in Bethlehem that Palestinian Prime Minister Salam Fayyad's efforts to increase tourism to the Palestinian Authority are making this a more optimistic year for the West Bank city, whose primary tourism season is, of course, Christmas. I hope they're right. It's been a rough period for Bethlehem, which is pretty much a one-industry town, or maybe two: pilgrimage and olive wood. If you're not interested in the olive wood manger scenes or crosses, the craftsmen can pull out olive wood crescents, stars of David, or even Menorahs, but religion and olive wood are about the whole economy. Last year, and most recent years, have been more awkward. 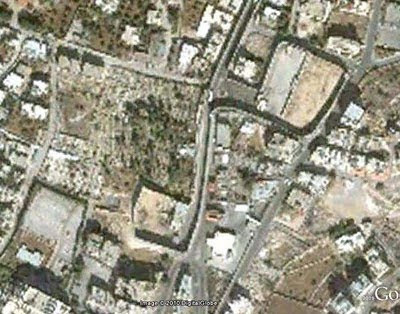 The Israeli separation barrier, the Wall, not only blocks the pilgrimage route between Jerusalem and Bethlehem, slowing down pilgrimages, but runs right down one side of the main street into town, or what used to be, due to the Separation Wall dividing Bethlehem from Israeli-controlled Rachel's Tomb runs right down what was formerly the road; the satellite view in Google Earth shows just how bizarre the wall is in this part of its course. I haven't personally been there since the wall was built, and from the video and other views I've seen, I think I'm glad. And Rachel's Tomb is one of Bethlehem's Holy Places. Being Jewish, it is separated by a wall from the Christian ones. I don't intend to get into all the arguments about the wall here; I do believe with Robert Frost that "Something there is that doesn't love a wall," but I also understand why the Israelis built it. On the other hand, its impact on Bethlehem has been pretty devastating. There'll be one more Christmas post before the weekend, so stay tuned. If you haven't already encountered this story from The Guardian a few days ago, I'll call it to your attention. It is bizarre in the way that few other than the late Saddam Hussein have been bizarre: for a two year period in the 1990s Saddam gave blood regularly, providing a total of 27 liters which a calligrapher used to write an entire Qur'an in Saddam's blood. This is one of those problems I'm glad isn't going to be up to me to resolve. Egypt's Minister of International Cooperation has met with the British Ambassador to talk about mine clearance assistance. Not in Sinai or the Bar-Lev Line, but around El Alamein. Apparently there have been some 10,000 casualties since the 1942 battle, due to the large number of uncleared mines. I'm going to be off over the holidays, but do intend to continue posting, covering Christmas in the Middle East and any other developments. Due to family duties etc. my posts may be sporadic or at odd times of day, but do keep checking in, as I'll be around. King ‘Abdullah of Saudi Arabia has left a New York hospital after his two rounds of back surgery. He will spend some recovery time in New York. The King's surgery, and the precarious health of the Crown Prince, have sparked speculation about the line of succession, though the Saudis do not care for such speculation, and a Saudi paper last month decried the British press' speculation about British succession, without, of course, drawing any parallels. The fact of the matter is that the Family does not discuss its inner dynamics, and however much intellectual exercise we may get from various succession scenarios, no one who knows is going to talk, and no one who's talking actually knows. 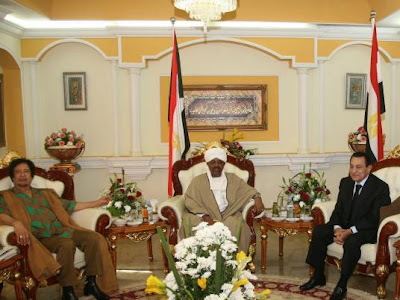 Salva Kiir is the one wearing the cool hat. (Note I'm dependent on the websites for now; the hard copy might be different.) Oddly, both Arabic articles call it a four-way summit in their headlines, but from one you'd assume they mean the four Presidents, and from the other three Presidents and a Vice President. Now, General Ould ‘Abd al-‘Aziz is no hero of mine; he came to power in a coup and is no great democrat. But he's a fellow Arab head of state: why has he disappeared down the memory hole? I'm sure that a great many Egyptians are not even aware that Mauritania is an Arab country, and few think its leader ranks with Mubarak or Qadhafi. But to make him an unperson in the story? To ignore him completely? I fear Mauritania, far from the experience of most eastern Arabs, is easily forgotten. Once my wife and I attended a reception for Arab military attaches. The Mauritanian attache was in a corner by himself, so we chatted him up. He was pleased we both knew where his country even was, though neither of us had been there. But clearly Mauritania gets no respect. (Except from Qadhafi, whose attentions are not always welcome.) Why the Mauritanian President was there is of course another question (I suspect Qadhafi is part of the answer), but even if he was a fifth wheel at the summit, at least acknowledge he was there. It Took Nine Months, But Here They Are . . . It took all of nine months for Iraq to come up with a Cabinet consisting entirely of middle-aged men in dark suits. Why aren't these men smiling? According to this story in Arab News, Saudi intelligence chief Prince Muqrin has announced the formation of a new force, apparently intended for counterterrorism, under the intelligence service. From the pictujre it looks like a paramilitary force, which is probably why the article notes that it will fully cooperate with the Interior Ministry. Without more information, it's hard to know why this isn't a redundant force to begin with: doesn't Saudi General Intelligence already cooperate with Interior, which has the police power? Offhand I'm guessing this is the usual bureaucratic redundancy familiar to most security services in most countries: of course the Interior Ministry already has such forces, but Intelligence did not. Now Prince Muqrin has one, too. 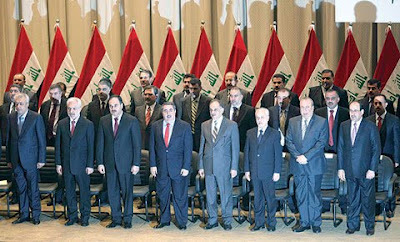 Nine months after the elections, Iraq finally has a government. It is purely up to the southern Sudanese whether they choose, on January 9, to secede from Sudan in a referendum set up under the Sudan peace agreement. 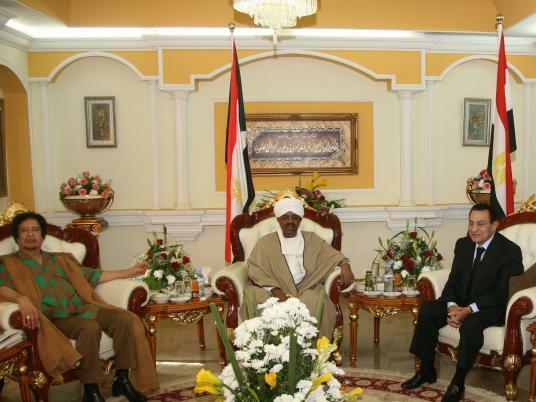 Egyptians are very nervous: right now the Nile waters issue sees a neat balance between Sudan and Egypt on one side, which think the present arrangements for sharing the Nile are fine, and Ethiopia and Uganda, which want to change it. An independent southern Sudan would probably side with the up-River states, though, so the Egyptians are worried, So are many Arab states that worry about the idea of non-Arab regions seceding, under UN auspices, from Arab states. (Others might get ideas.) Add oil to the mix (Sudan's oil is partly in Abyei, and no agreement has been reached over whether Abyei belongs to the north or south) and it's a volatile situation. We'll be talking more about this as January 9 approaches, but my excuse for posting on it today? Civil War buffs and natives of the Palmetto State will know that 150 years ago today, on December 20, 1860, South Carolina became the first southern state to secede from the United States, beginning the inexorable slide into Civil War. Most white South Carolinians either supported secession or stayed quiet (in the upcountry where there were few slaves, there were Unionists: I had a Georgia mountaineer ancestor who fought for the Union*), but one South Carolinian who didn't was ex-Congressman James L. Petigru, who, when his state seceded, famously said, "South Carolina is too small for a republic and too large for an insane asylum." I am not prejudging the choice of the southern Sudanese; that's for them to decide. It's just the date that inspired the reflection. Clashes last week in the holy city of Medina that led to 38 arrests have been attributed to youth gangs by the Saudi press, but as Brian Whitaker notes, the fact that one report noted the youths wore black, and the fact the clashes occurred on ‘Ashura, give away the sectarian nature of the troubles. Sunni-Shi‘i clashes are a sensitive subject in Saudi Arabia, and most often occur in the Eastern Province where most Saudi Shi‘a live, but Medina, with its close links to the Prophet's family, is also important: Whitaker notes the importance of he Al-Baqi Cemetery, but doesn't mention that four of the 12 Imams are buried there. (Numbers two and four through six.) Only Iraq has more Imam burials. Unidentified Object a Weather Balloon? Was Dahlan Trying to Form a Militia? A Second Act for Amram Mitzna? Snakes on a Plane . . . and a SQUIRREL? I Remember this Movie . . .